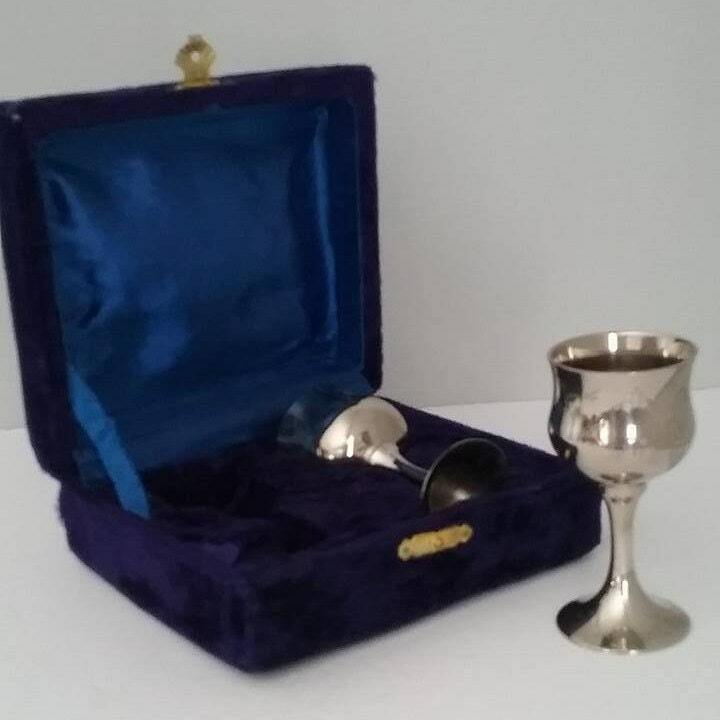 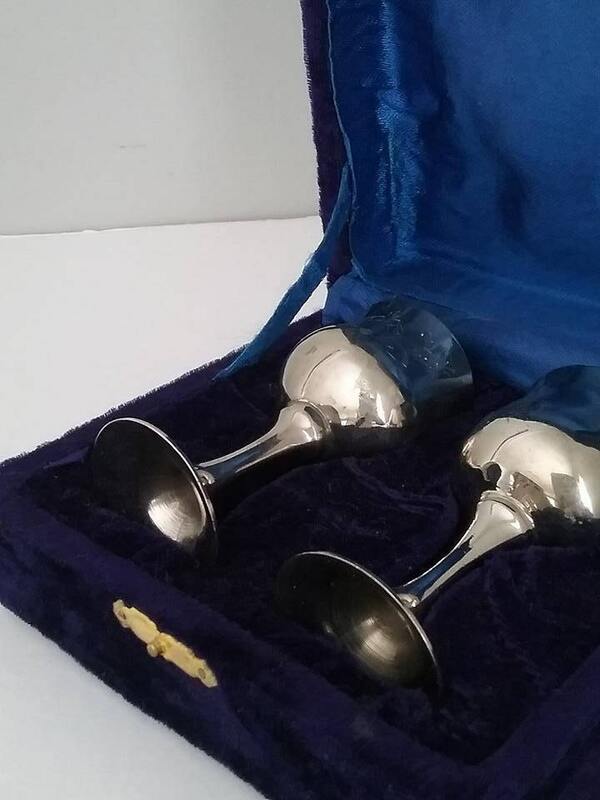 Vintage silver plated goblets,in velvet box, two silver plated sherry goblets in a plush velvet case that has satin lining on inside lid. 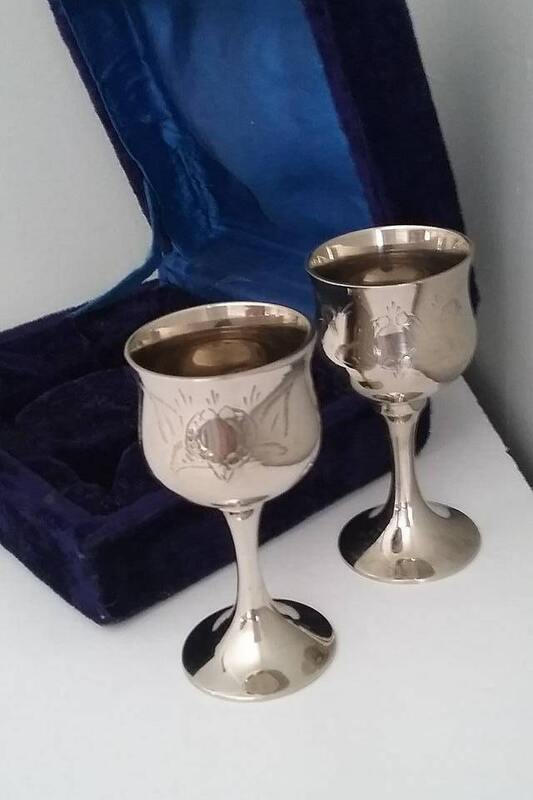 Both goblets have hand engraved wreath-like flowers and leaves. 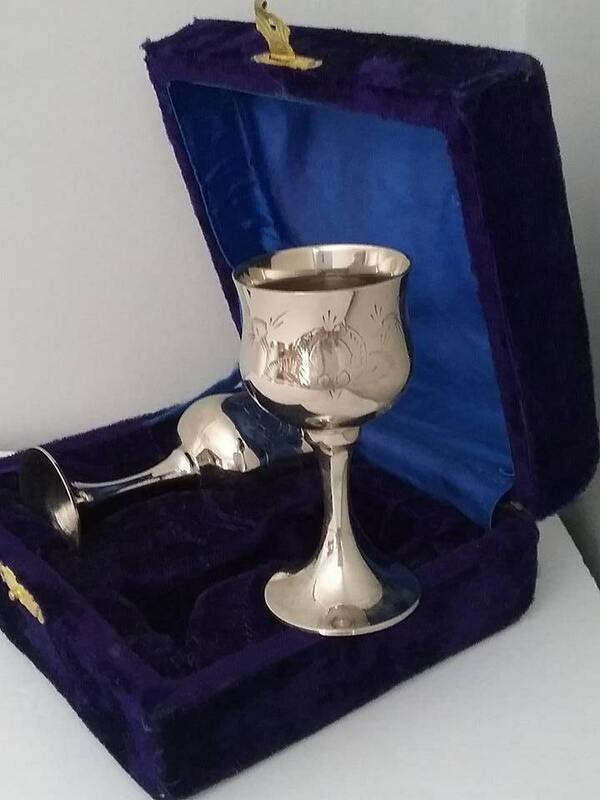 Goblets are 3.5" high. 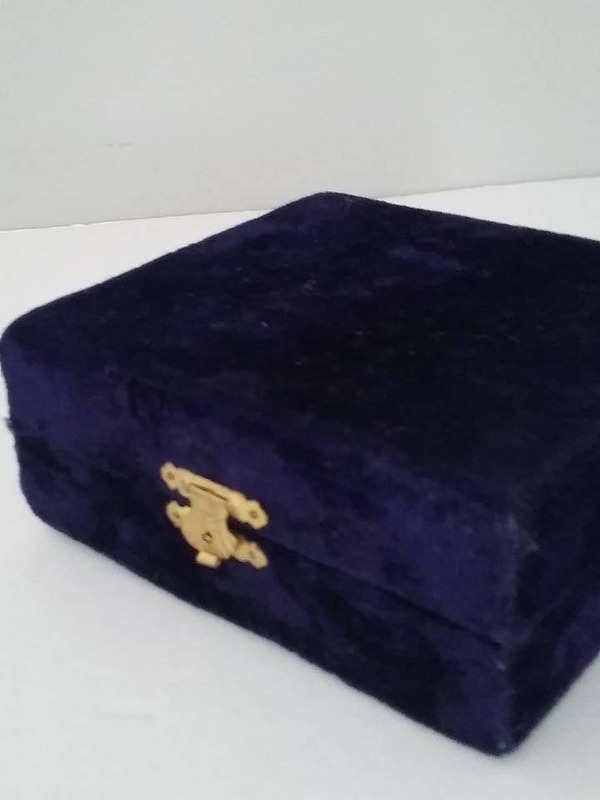 Beautiful box is 6"x5.5"x2.25". 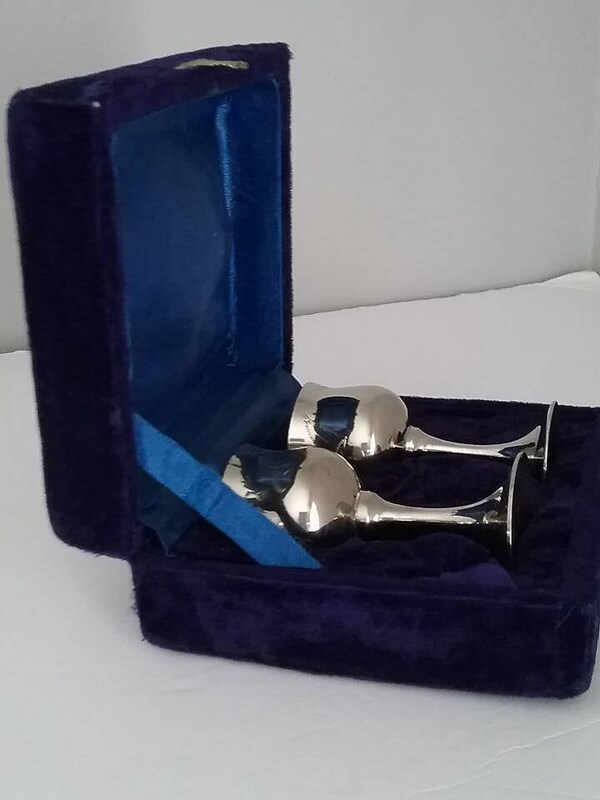 Excellent vintage condition; brass latch on box is a bit warped and needs a gentle nudge to close fully. 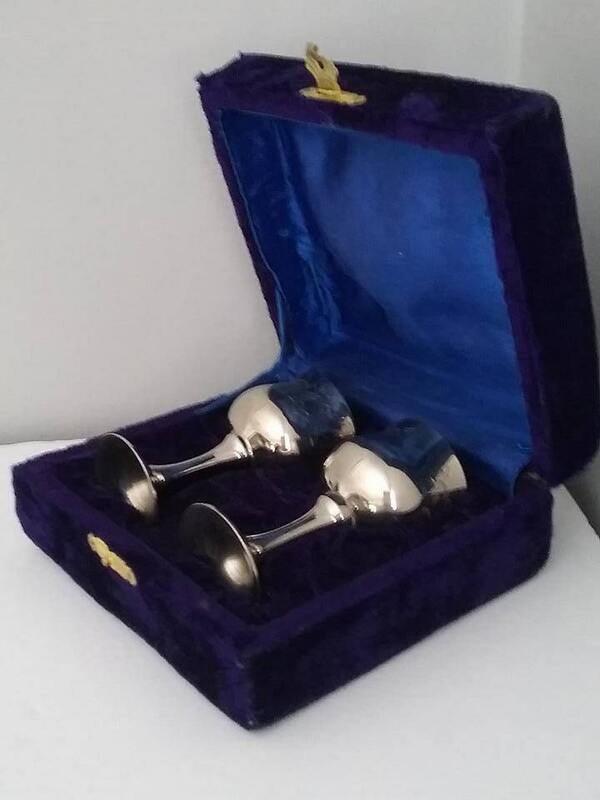 Toast your sweetheart on that special event!